We know how important is to have regular meetings with your team members. It is paramount to make the most out of those meetings. To help you achieve that Happy Mood Score has a 1 on 1 planner. When you receive feedback from your team members there are always ideas, notes, comments, etc... that you want to mention in your next meeting. In Happy Mood Score you will find a 1 on 1 button next to each feedback message. With this button you can add notes or comments right there so you will always remember it. No need to jot down notes in a piece of paper or use any other external app. Keep your notes together in the right place. These notes can be linked to a specific person (so you can filter them out later) or be generic notes. You can add notes anytime in the app, not just when reading feedback comments. 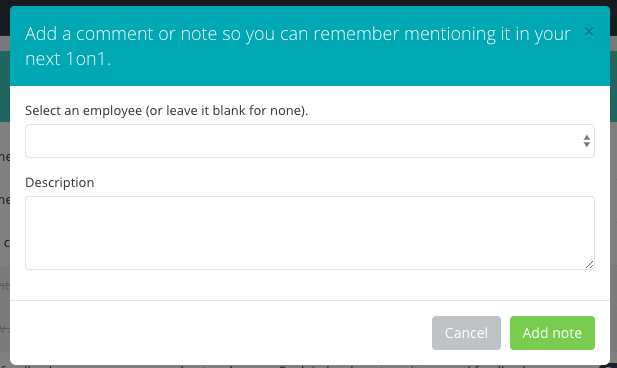 You can even add notes using our Slack integration. Amazing, isn't it? Don't forget anything important in your next meeting. Use our 1 on 1 Planner and keep your employees happy and engaged. 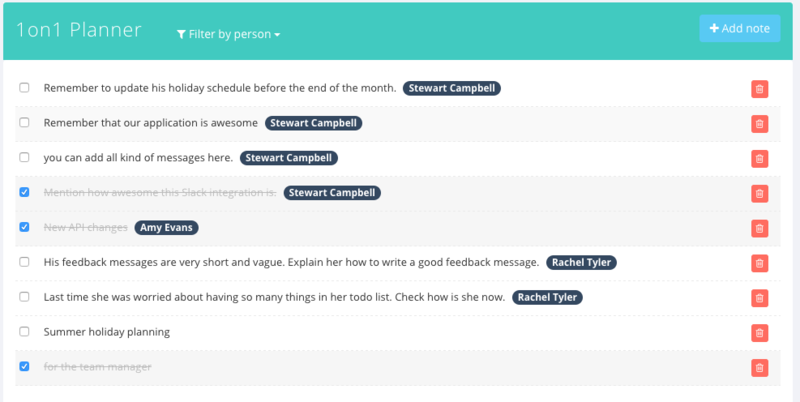 The favourite tool to get feedback and detect talent of remote workers and distributed teams. Create an account and discover why Happy Mood Score is the tool of choice between startups, agile companies and team managers in charge of remote workers, digital nomads or distributed teams. Your team members will love it because it doesn't stand in the way. Forget long bored assessments nobody wants to fulfil. People can report their status and give feedback. It's fun, quick and convenient.